After delivering my session at Modern Workplace Conference Paris (#MWCP18), I am inspired to share some more information to help you realize the value you have in empowering your users. As humans we tend to only look at the BIG things, those solutions which save millions per year, but never underestimate the power of numbers. In this blog I’ll share a calculation on a company of 5000 users on average salaries (very difficult to do across continents, so please create your own spreadsheet to do this calculation). We know that technology is ever evolving, and things will never be the same again. The pace and volume of work had become near impossible to achieve, IF WE DON’T EVOLVE AS WELL. I’ve written many blogs about the “psychology’ behind training / user adoption patterns etc. I am not professionally educated in this field, but I am super passionate and have empathy for what happens around me. To study is to listen. Not listen to act, but listen to have empathy and try to understand. What I do is listen, to users complaining about systems, IT Support complaining about users logging stupid calls, management complaining on low user adoption and cost due to inefficiencies. And I have empathy for all of them, because we do have a problem. The good thing is that it can be solved, and it’s much easier than you imagine. It comes down to training. Empowered users are less frustrated with their work environments and tasks, and there’s a smaller possibility of them leaving the company. Empowered users also do things faster and are happier which directly impacts the outcome of our efforts. The challenge is that we’ve already forgotten, what they must still learn. So we make decisions for them, based on what we know. We think they don’t need training, cause it’s easy (for us). How can someone not click a URL in an email then go read up about it and teach themselves?? Or simply watch a video and then they’ll understand. We need to help them believe in themselves first, hold their hand a bit and help them on their journey. Yes, that’s effort, but don’t ever forget that someone did that for you at some time in your life. Once you light that fire of trust they have in themselves and technology, they’ll start becoming curious which leads to self and lifelong learning. Stop fixing problems, start fixing people who can then fix their own problems. Beginner training should be more coaching / mentoring, less technology based. Don’t think for them, teach them to think for themselves and make better decisions. So yes, it’s going to cost you money, you’ll have to invest in training (you cannot just send them an email with a URL to a video). Now let me show you why that investment will be the best thing you’ll ever do with your money. This workflow will take you 5 minutes to build (with some guidance if you’re new to #MicrosoftFlow). 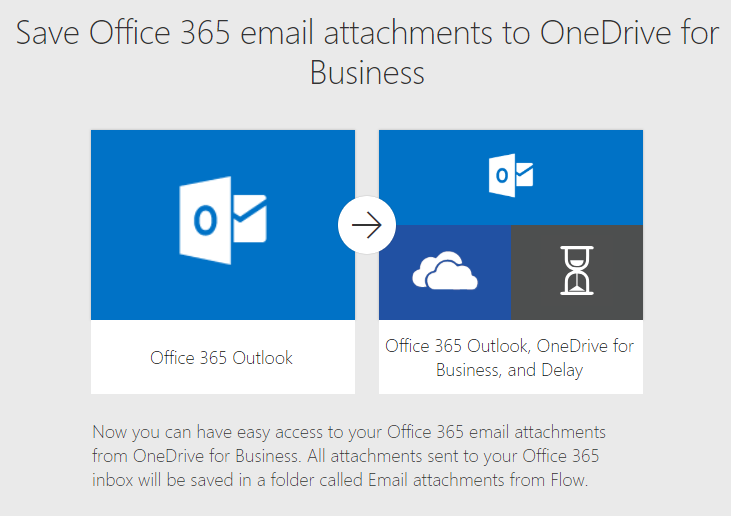 It will take email attachments (from specific address) and save it to OneDrive / SharePoint (to specific folder). Template needs to be configured to have conditions for specific mails / keywords as well as specifying the location (folder / library in OneDrive or SharePoint). Here’s a blog that could help you with that. We all get emails with attachments, think creditors clerk with invoices and statements, projects with proposals and quotations, reports etc. 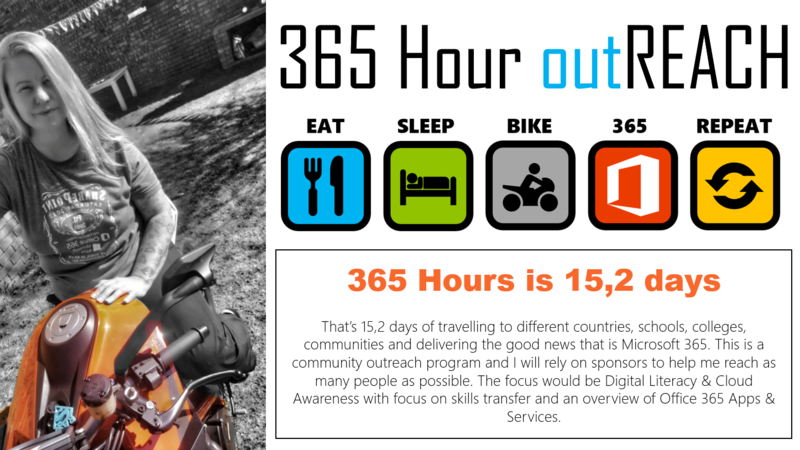 Below you’ll see my calculation for each user saving themselves 5 minutes a day by using something in #Office365. I look at these numbers and shake my head at companies not investing in training. That’s 1 400 000 Euros a year saved by being 5 minutes a day more productive! 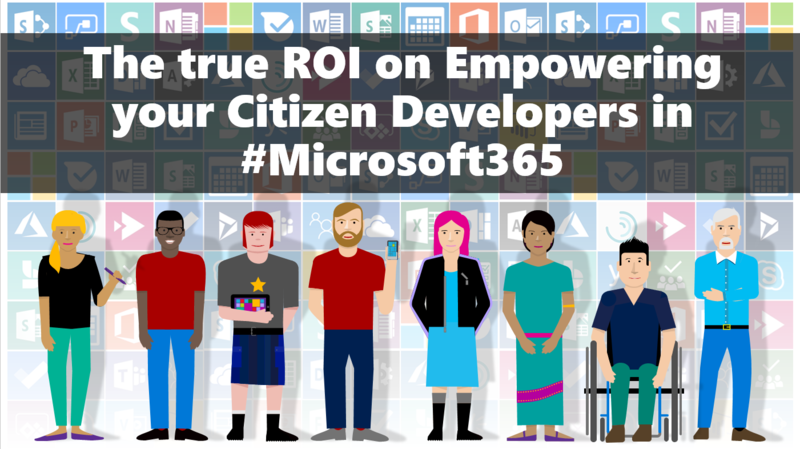 I hope that this has helped you either motivate training cost, or changed your mind when it comes to citizen developers and empowered end users. #Microsoft365 Day 354: To learn new things, we first have to un-learn the old bad habits. #Microsoft365 Day 129: ROI on Training, transform your business!